On Christmas Day 1989, I emigrated to America from South Korea with my family. I was seven years old. About a week before we left Seoul, my mom taught me the alphabet, so I knew my ABCs. Shortly after coming to America, we moved to New Jersey, where I spent two years in ESL, then another year in remedial reading. Over time, my English improved. By the time I was a senior in high school, I was editing the school paper, the Leonian. 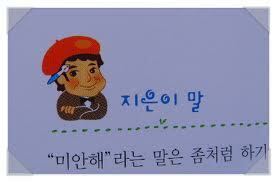 For most of my childhood, though, I kept a diary in Korean. Back then, reading in Korean was easier than in English. I read every Korean book in my father’s stack at home and at the local public library. I’d turn to the last page of every Korean book and see ‘Ji Eun’ listed by the author’s name. My name in every Korean book! Ji eun ee is a homonym for “author” in Korean. I knew this, but it still delighted me. "jieunee mal," or author's quote. My name Ji Eun means something else. The first Chinese character means “wisdom” and second stands for “bank of a river.” It’s an unusual juxtaposition, I’m told. Chinese speaking friends have told me it could be interpreted as wisdom that overflows the body of water, or overflowing wisdom. Am I wise? I wish. In seventh grade I decided to start going by the name Jamie instead. I christened myself. My Korean name was mispronounced in many different ways and I got tired of being so different, so unusual. Many school teachers found room for zany interpretations in the combination of e and u in the second syllable. Ji Eun has the same vowel sounds as the word “given.” Instead, my school teachers called me Jay Yoon, Ji Anne, or June. I chose Jamie because there was a girl in sixth grade who told me that I was her best friend, and her name was Jamie. So I wanted to be my best friend. Jamie is a nickname for James (vice versa for me), which means supplanter. Which gives me pause. Have I supplanted my Korean identity for an American one when I started going by Jamie instead of Ji Eun? I became a naturalized citizen of US as an adult, and I had the opportunity to permanently change my name to Jamie Lee, but I chose not to. 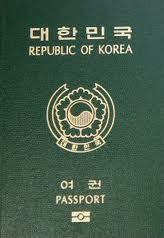 I thought it over for a day and decided to keep my legal name as it was transliterated and printed on the passport that brought me out of Korea. I am Ji Eun Lee. Most people know me as Jamie Lee. I am Ji Eun (Jamie) Lee. I am all of the above.